West Bengal govt. has launched Rupashree Scheme for girls above 18 years of age. All the girls will now get a one time financial assistance of Rs. 25,000 at the time of their marriage. This scheme will help around 6 lakh girls belonging to economically weaker families with total outlay of Rs. 1500 crore. WB govt. has released the application forms and any adolescent girl can perform Rupashree Prakalpa Application Form Download to avail benefits. This is a major initiative of the state govt. after Kanyashree, Yuvashree and Sabuj Sathi Scheme of WB government. All the girls whose family annual income from all sources is less than Rs. 1.5 lakh can avail this marriage assistance. 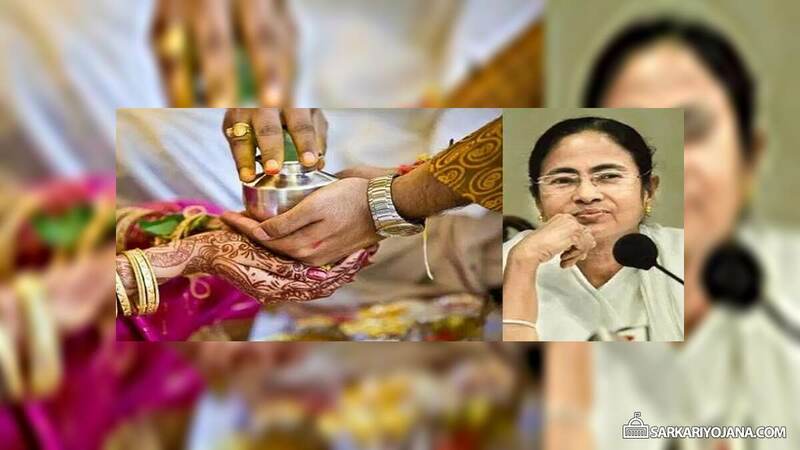 This scheme will help poor families who borrow a huge sum at interest for the marriage of daughters and thus are forced to live in depression. These application forms are also available at the Municipality Office or from BDO office or SDO Office. 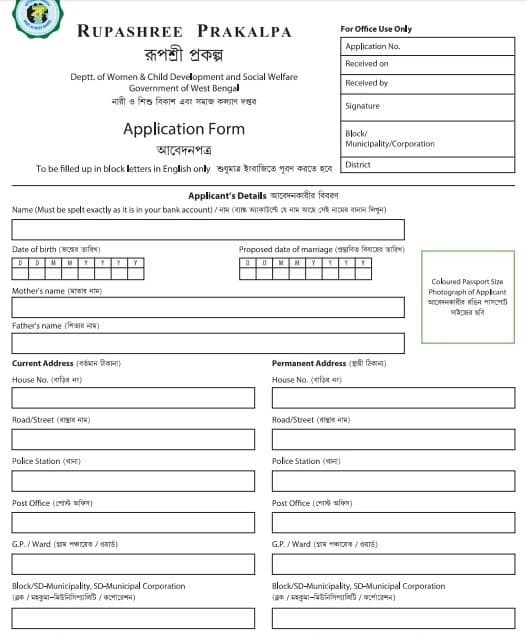 All the applicants are required to submit the filled in application form before the date of marriage and then submit it BDO or municipality office. Accordingly, WB govt. will credit Rs. 25000 directly into the bank account of the applicant. All the applicant girls whose marriage is going to take place must have attained 18 years of age. The annual family income must not exceed Rs. 1.5 lakh. All the applicants must be a permanent resident of West Bengal. There is no minimum qualification necessary to avail marriage assistance. After attaching the documents, submit the completed application form to the BDO, SDO or Municipality Office. All the concerned authorities will verify the given information and then will pass the application. All the selected / passed applications will get entitled to the receipt of Rupashree assistance directly into their bank accounts before 1 week of marriage. Rupashree Scheme will bring reduction in Child Marriage. This scheme will reduce the burden of marriage expenses of parents of girl child by giving one time assistance for marriage of their daughters. All such schemes like Kanyashree, Rupashree will increase the education rate of girl child. WB govt. has made a budgetary allocation of Rs. 1500 crore for this scheme. I am a permanent resident of West Bengal. I have unmarried niece who have been living with me from her childhood but she has no proper document of identity in west bengal. If I produce councillor recommendation then she is eligible for rupashree prakalpa? Rupashree prakalpa is better orther prakalpa. I want to know what is the name which realetet to pwd person.